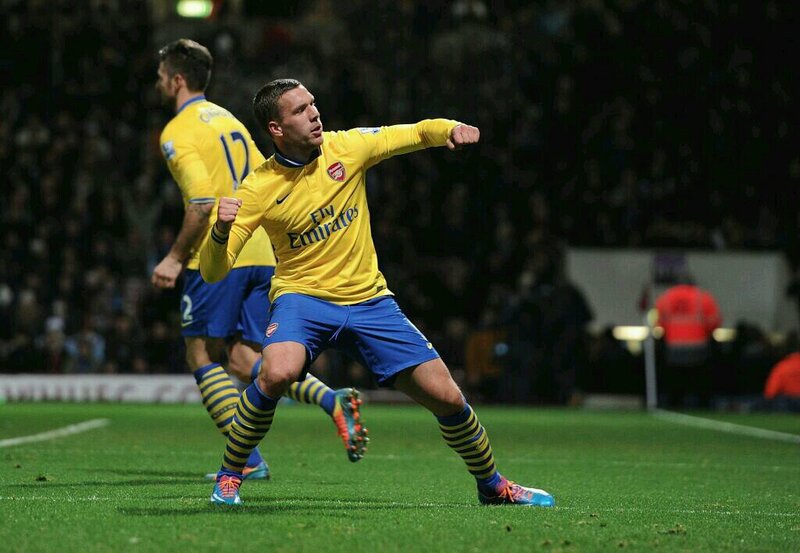 Podolski came on and showed the directness to shoot tgst the gunners have lacked in many games. We have been comfortable with flicking and tapping but Podolski and Walcott arent here for that fancy play. Two of our goals came shots on goal after we have missed so many opportunities to tap in. We lack the turn and shoot strikers. Maybe Podolski can bring another dimension. Walcott may have scored from a header but the gunners had no threat aerially. Giroud was no where to be found when balls were crossed in. 8 corners went begging with no threat. We have a big striker in Giroud and he needs to be more of a threat in the box than hold on play, flick ons and backing goal play. Bendtner is more of a threat. The earlier part of the season were carried by Ramsey’s goals, Ozil’s assist, and Giroud’s flicks and goals. They have tired out and behold a new period have emerged. Cazorla seems to have picked form with a good display last night. Walcott has now scored 2 braces in 2 games. 4 goals in 3 matches. Podolski returned with a bang. The mantle has shifted to this trio. We hope they steer us on till we grab trophies this season. If Wenger fail to sign in a very good stricker and a natural defensive midfielder in january, then arsenal should 4get the dream of winning any title this season. Gunners 4ever.